Banner Haven B&B is operated by Greg and Amy Gardner, our hosts for Little Tweetsie Railroad. They have been in residence at Banner Haven B&B since January 5, 2012 when they took over the daily operation of this quaint little bed and breakfast, nestled in the North Carolina mountain town of Banner Elk, between Beech Mountain and Sugar Mountain towns and ski resorts. Located at the base of Beech Mountain Parkway, Banner Haven B&B is a traditional bed and breakfast, but also has a freestanding cabin with its own mini-kitchen, back deck, gas grill and perfect location beside the Little Tweetsie mainline. Without Banner Haven, there would be no permanent home for Little Tweetsie and no place for the locomotive and coaches to call home. Banner Haven has also hosted birthday parties, weddings and other events, especially those that work with a train theme. Situated on 1.25 acres of beautiful North Carolina high country real estate, the main house and cabin are home to more than just Banner Elk bed and breakfast residents. Greg and Amy have seen deer, turkey, bears and other wildlife at the property, including their dogs, cats and macaw parrots. Consider Banner Haven for you next party. Consider Little Tweetsie for your next event. Consider this Banner Elk B&B for your next getaway. Consider the cabin for your next vacation. Consider coming to the high country of North Carolina for a day, a week, a month or longer. Come for a visit and stay forever. We would love to meet you or have you as a neighbor. If you like trains, come by for a ride. No matter your age, Little Tweetsie is for everyone. We hope to see you soon. Call us for more information about Little Tweetsie or Banner Haven. 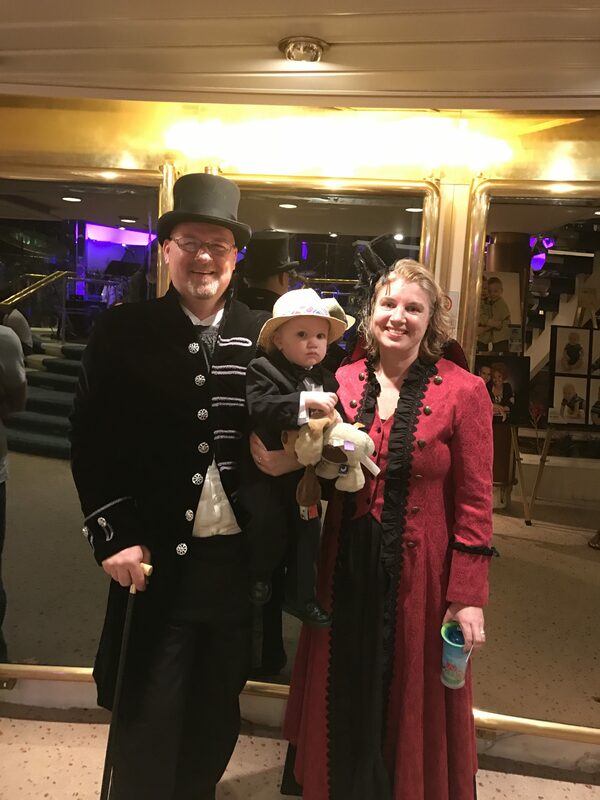 Greg and Zeb are always happy to bring of the engines, gas or steam powered. Thanks to Justin and Megan at High Country Small Engine Repair, Little Tweetsie Railroad is receiving some well needed attention, while I’m out of town. This will get her ready for a summer of steaming fun and you are invited to join us. Some additions are coming to the track this summer and we hope you will join us for one of our steaming days. The track radius is changing and one sharp curve is going to be changed to accommodate larger locomotives. Some larger engines have had trouble at the driveway turn and the new layout should allow for better turning for everyone with no derailments. The second track and siding track will be added this summer. An incomplete secondary track has been used as a siding for two years and we plan to complete this circuit so two trains can run at the same time. With proper timing, this will allow trains to travel in opposite directions and spring loaded switches will auto-direct each locomotive in the correct direction. Finally, a siding will be added to park trains and cars not in use, without blocking the mainline. Little Tweetsie Railroad is much like her full size counterpart, Tweetsie Railroad. Our track is small but we hope to offer a lot in a little package. With an on-site cabin available from Banner Haven Bed and Breakfast, visitors have a place to stay, and the yard and fire pit make it a wonderful place to relax with your choice of sun or shade. A playground for smaller children offers something for all ages. The hot tub is close by and open all year. We invite you to check out our host, www.BannerHavenBedAndBreakfast.com. We also invite you to bring your parties, whether for young or old, to Little Tweetsie Railroad, in Banner Elk, NC. Not matter your age, let us host your next event or party. Little Tweetsie is ready for a break. Little Tweetsie has had a full summer; weekends, back-to-back weekends, a birthday party and many other days of just plane fun. She has run extremely well. She’s had no problems, no issues, no breakdowns. This is thanks to her incredible craftsmanship, which comes from her builder, the late John Barden. Now it’s time to let Little Tweetsie have some much needed rest and maintenance. 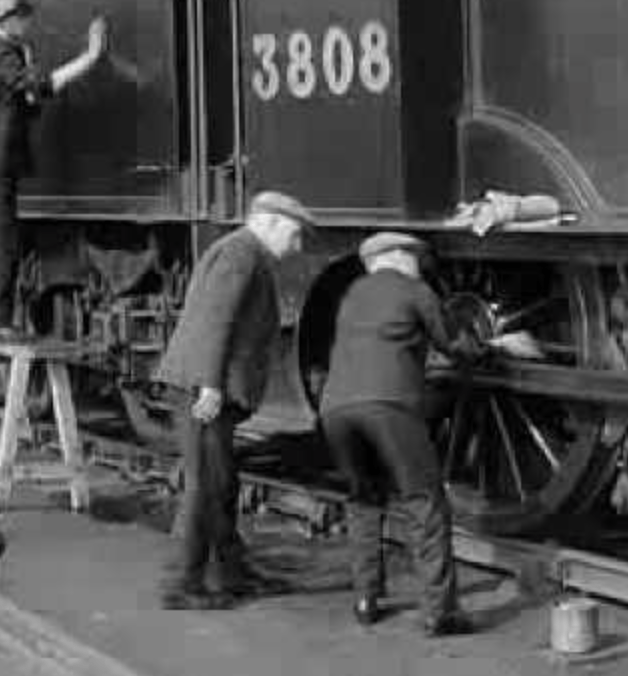 Live steam locomotives are nothing like your grandfather’s basement or attic trains. These trains required little or no work to run for years or even decades. Some would run for 50 years without having any problems. This is not the case with live steam. Little Tweetsie is a functioning steam locomotive with almost no difference between her and the full-size steamers that still pull passengers in different places around the country and the world. These miniature trains are fuel by burning coal, which heats water to produce steam. The steam drives pistons that turn the wheels. This steam also works the brakes, pumps, blowers and other equipment on the train. These little guys don’t have batteries for the engine. They don’t run on gas. They are driven just like the full-size engines of the by-gone steam era. They require the same care. Little Tweetsie is going to get a major overhaul this winter. The cab and all cosmetics will be removed to provide access to the steel boiler. Steam pumps, steam injectors, valves and other parts will be removed and cleaned. Every joint will be checked. Every seal will be packed to prevent leakage. Everything will be tested, before we ever get to the boiler. The boiler will be cleaned, inside and out. Leaks will be repaired. Problems will be fixed and then the heart of Little Tweetsie will be pressure tested, before reassembly begins. Oil will be removed from all moving parts. Grease will be steam cleaned off all locomotive parts. Oxidation will be removed. By Spring, Little Tweetsie will be ready to get back on the rails for another year of operation. 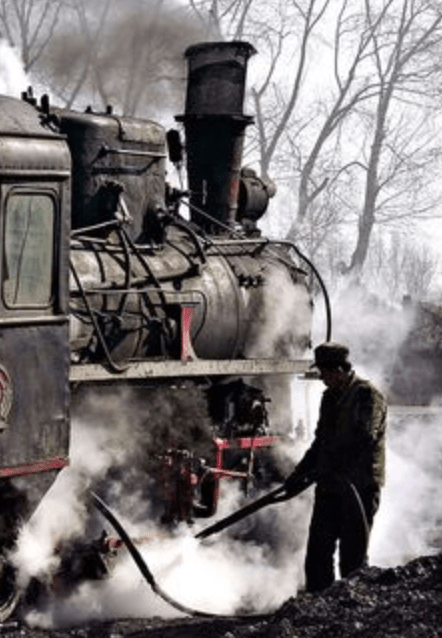 As I have learned about this hobby, it has amazed me the work that goes into the maintenance and preservation of these miniature steam locomotives. There has been so much to learn. I still have so much more to learn. Thankfully, a friend has much more experience and is willing to help my little engine remain in good condition. Next summer is sure to be great fun. Since winter isn’t here yet, we still have a few weeks to run her. Watch for updates on upcoming weekends, when Banner Haven will be hosting more open weekend runs. 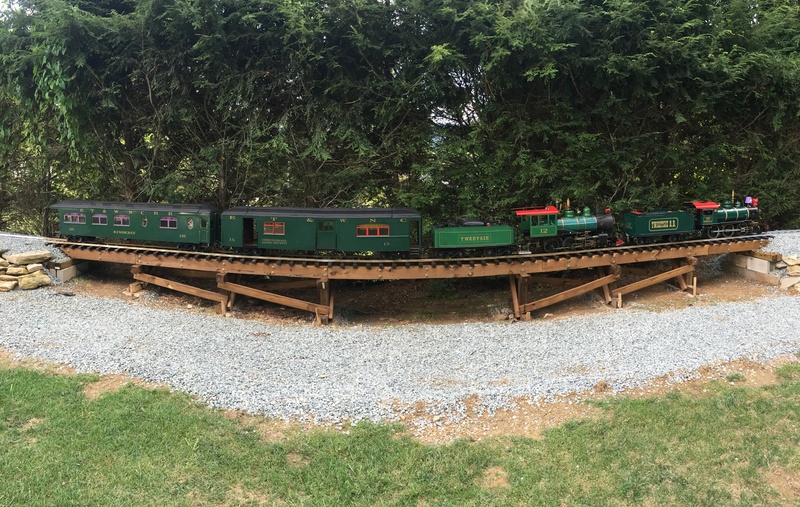 Little Tweetsie Railroad is adjusting well to her new home and #12 has made a lot of friends in recent months. 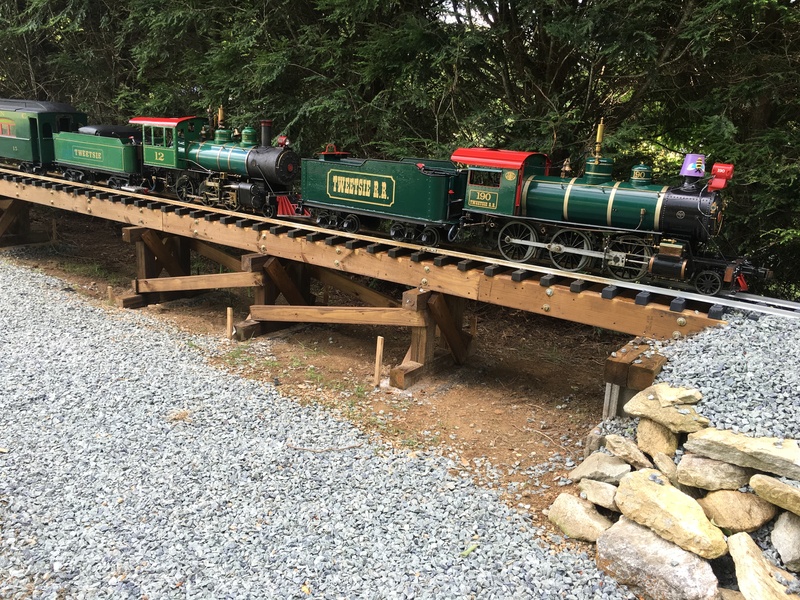 The addition of more than 500 feet of track gives Little Tweetsie Railroad the opportunity to have fun and lets riders get the feel of a short loop, but there are plans for more than 1500 feet of track. Banner Haven Bed and Breakfast is a wonderful host and has more than an acre of open land, plus a creek, which may see a trestle in the future. Visitors from North can South Carolina have come to ride. Others from Virginia and Tennessee have also come to see Little Tweetsie make her rounds. Another visitor from Florida and several from Georgia have also come to see her. The cabin, which is right beside the track and available to rent from Banner Haven, makes a perfect place to relax and enjoy the scenery while waiting on your train to steam up. Little Tweetsie Railroad has also been invited to steam up at the South Carolina Train Museum and Potomac Railroad, just outside Washington, DC. It is amazing how many people love this little engine and want to see her run. Besides local events at her Banner Haven home track, Little Tweetsie can travel for events. She has a full trailer that can also carry her two beautiful coaches. She can currently carry up to 6 adults at these events and will be able to carry more as additional coaches are added. Greg Gardner and his Grandson, Zeb, have spent a lot of time on the train making sure she runs smooth and operates well. Little Tweetsie Railroad has had a fun summer of operation and is ready for some fall and winter maintenance. 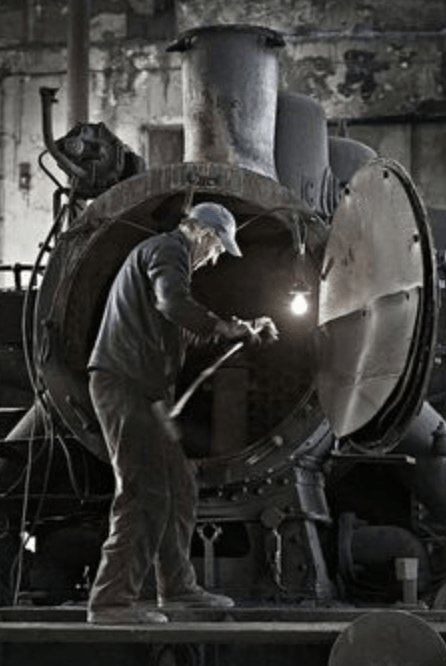 Owning and operating a live steam locomotive requires more than just time and money. There is a lot of daily, weekly, monthly and annual maintenance that has to take place. The track will also get an upgrade in the near future. Tune in to our newsletter or bookmark our blog to learn more about what’s coming to Little Tweetsie Railroad. 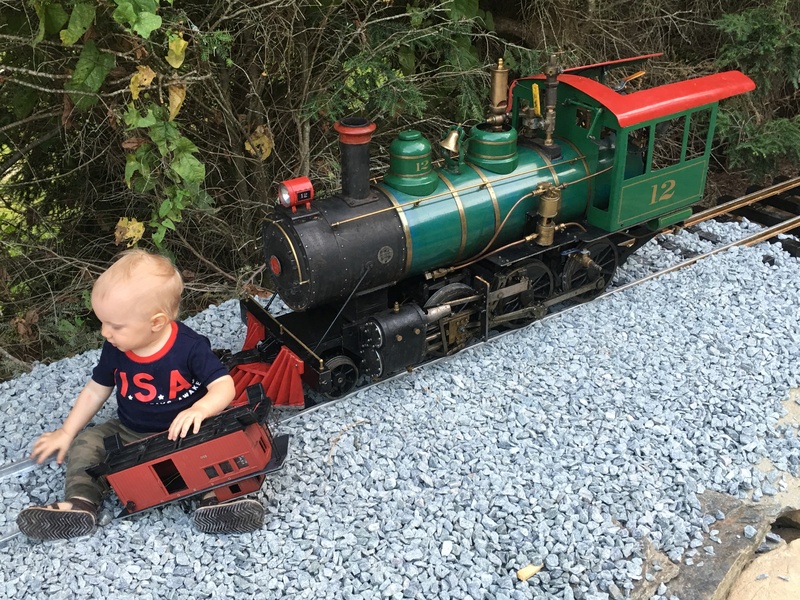 It’s been several weeks, but opening day at Banner Haven was a huge success and the Little Tweetsie locomotives were a big hit. More than 50 people from North Carolina, South Carolina, Virginia and Tennessee came. The Little Tweetsie passenger cars were full most of the day and it wasn’t just kids enjoying the trains. Grownups got a chance to hop on board and take a trip around the mainline. The rain stayed away until after the party was over and the weather was cool enough that it was still pleasant. It was a great first day and we look forward to many more. Justin and Greg were out of town this weekend. But, next weekend is sure to be fun. We are planning another Saturday of steaming. If the weather cooperates, of course. The high country weather is always unpredictable and changes quickly. a sunny day can turn cold and rainy very quickly. Rain can disappear just as fast. If you don’t like the weather, just wait a few minutes … it will change. The best part is that most days will have some good weather. If you want to join us, call any time to ask about steam days. Our newsletter is coming soon and will allow you to stay up to date by email. Watch for more information. If you helped make this a great day, we thank you and appreciate you coming to join us. If you missed out, there will always be another chance and you can watch these pages to see what’s happening. Since opening day, Little Tweetsie has run many weekends at Banner Haven. Many Banner Elk locals have come to see the only Banner Elk steam locomotives; #12 and #190. There are several weeks left before cold weather starts to settle in the high country and Little Tweetsie is going to be running at Banner Haven. 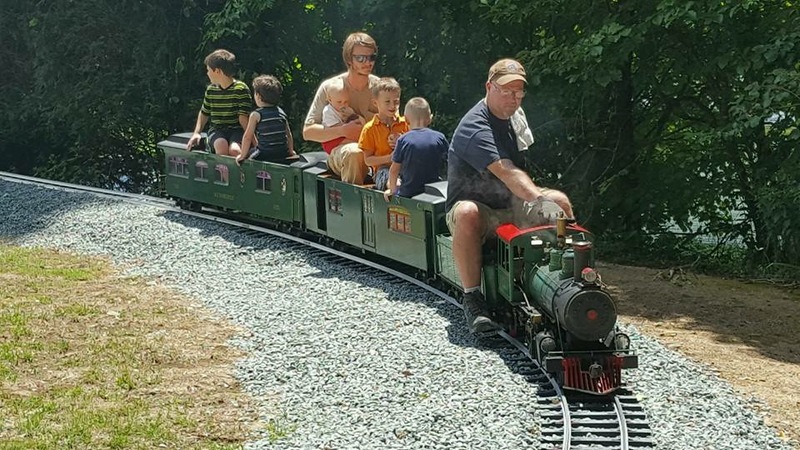 Remember, you can plan events at Banner Haven and include the train; kids birthday parties, weddings, corporate events and more. August 6th was Little Tweetie’s first operation day and a good time was had by all, especially Zeb Banner who shared his birthday party with us.